The Traveller’s Rest doesn’t in anyway resemble the many iconic images of the New York skyline. A suburban public house in Darlington is a million miles from NYC. Thinking about it, it’s more like 3500 miles. This Friday evening the Coxhoe-based Sonnet 43 Brewery occupied one of the many hand pulls on the bar. A pint of Yellow Cab (an American style lager) was the obvious choice. Hey, bartender, gimme a pint of that Yellow Cab! Punters came in off the sidewalk…There’s a jazz gig here tonite, right? The bartender replied: Upstairs, take the stairs, no elevator. 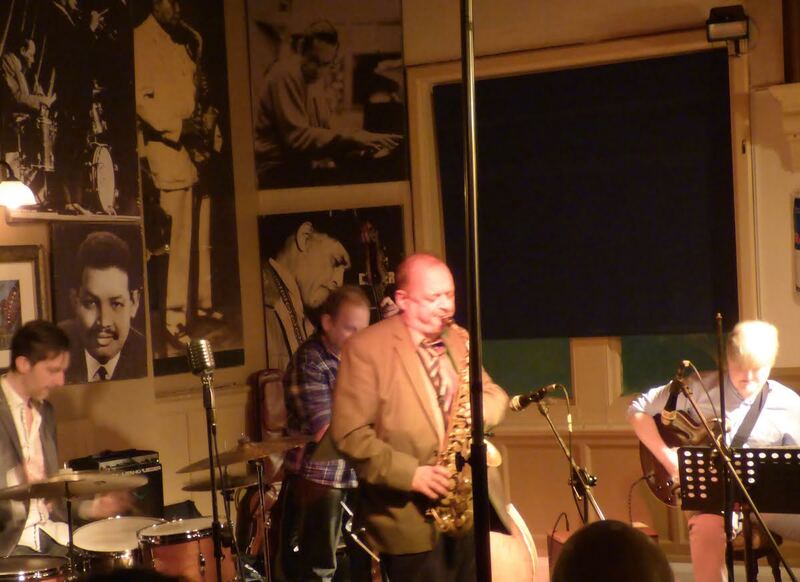 Opus 4 Jazz Club convenes once a month in the no-elevator upstairs room at no.2 West Auckland Road. 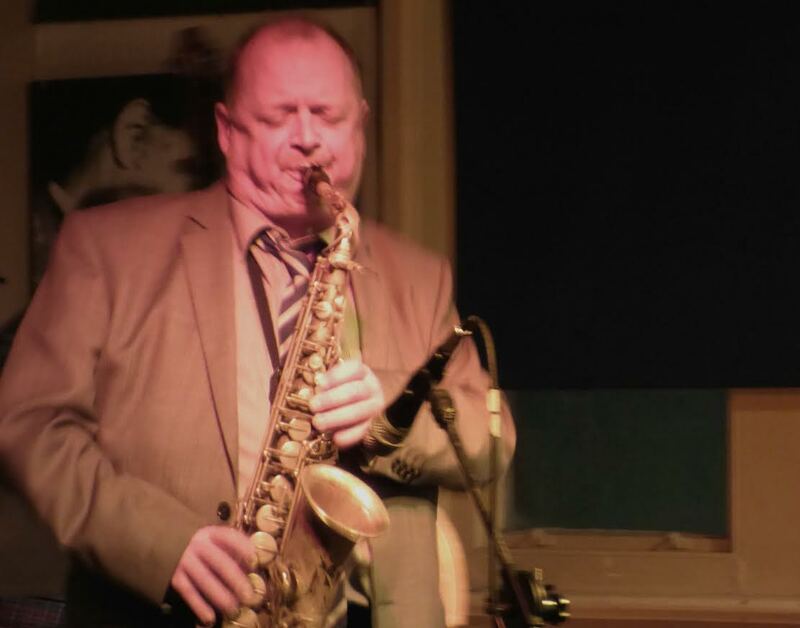 Tonight’s gig generated unprecedented interest necessitating reservations being taken days before Alan Barnes arrived to play a gig in the company of his friend, the fine pianist Paul Edis. At short notice Edis was to be late arriving in Darlington. To quote A Barnes: Paul has been taken of that rock and roll illness…money! What to do? Make a first call to a first class guitarist, that’s what. Francis Tulip, currently studying at Birmingham Conservatoire, made the trip north to dep for buck-chasing Edis (only kidding, Paul!). An explanation is due – an offer to open for Madeleine Peyroux at Sage Gateshead isn’t one to turn down, so Edis took the gig. You would, wouldn’t you? 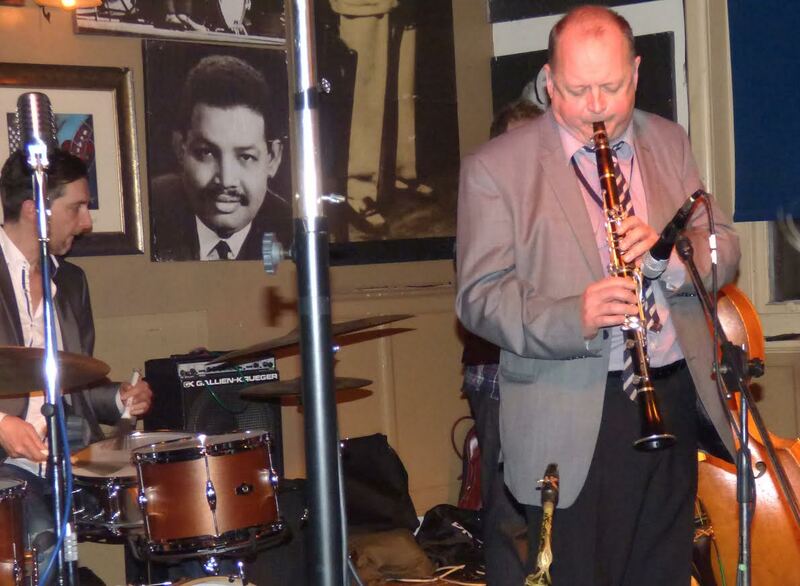 As Edis took to the stage in Gateshead, Alan Barnes and Francis Tulip decided to play some jazz. Rehearsal? No. Top and tail a couple of charts? No. 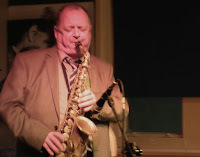 Barnes knew Tulip could play (they shared the stand at last year’s Ushaw Durham Jazz Festival) and in the estimable company of Mick Shoulder (bass) and Russ Morgan (drums) this promised to be something special. On Green Dolphin Street for openers, Barnes leading the way, Tulip to follow. Darlington regulars knew all about A Barnes, now they now about F Tulip. The senior man suggested Donna Lee (your scribe scribbling WOW! and that’s before they played a note of it!). Barnes to Tulip: You’re tempo. Well, how about typical Donna Lee breakneck? Tulip set off at the speed of light, the killing tempo stretching bassist Mick Shoulder to the limit, drummer Morgan likewise. Barnes was up for it, bop alto paradise! 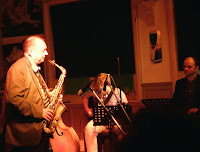 Bluesette with Barnes on clarinet was right up Mick Shoulder’s Manouche thoroughfare, the gig a delight, Paul Edis nowhere in sight. The interval: Edis arrives, just in time for the raffle. A quick set up and we were ready for more. East of the Sun and West of the Moon (Shoulder’s classy solo), a One Note Samba, with, as Barnes observed, many notes somewhere in the middle, and a fabulous Laura, normal order had been restored – Edis’ chordal contribution adding to Tulip’s. How High the Moon?, Body and Soul, this was the gig that just kept on giving.